Some crooks take a group of teenagers one of them is Patrick. He has to look after sheep but then he escapes. The King of Meath in Ireland holds bonfires at the start of the month (pagan ritual). Patrick challenges the king and his beliefs. 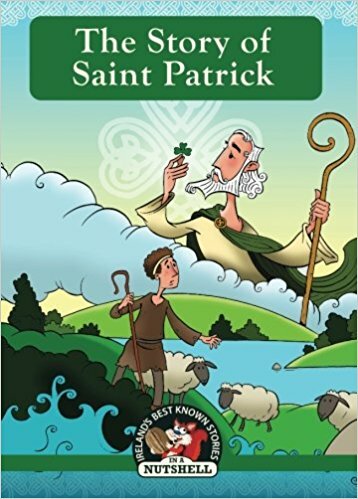 Patrick is a christian and he eventually converts Ireland to chrisitianity. When Patrick dies in 456 he says his mission accomplished. Rated: 5/5 Reallys "I liked this book, it’s very interesting." Windfall is about three best friends 2 boys and a girl. Alice is in love with her best friend Teddy and she buys him a lottery ticket. He wins lots of money and is full of himself. They go on a trip and kind of fall in love … I think (I have n’t finished it yet). Rated: 4.125/5 Reallys "Not perfect … lots of spelling mistakes. I’d recommend this for tweens and teens." 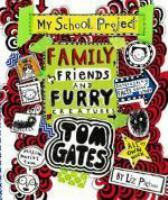 This book is about Tom and his school project and how he gets into trouble a lot. Rated: 5/5 Reallys. "Really interesting"
I’m reviewing Billie B Brown and the Missing Tooth. Billie feels jealous as she has a wobbly tooth but all the other kids in her class have already lost theirs. She really wants her wobbly tooth to fall out. Then the teacher asks who has lost their teeth and everyone puts their hand up except Billie. It then falls out in the playground and she can’t find it. Rated: 4/5 Reallys. "The stories should be longer!" Anne moves to Green Gables and works on a farm. All the farmers are males and they don’t like her at first because they think she is posh. But she eventually becomes friends with them all. Rated: 4/5 Reallys so far I have n’t really read much of it. Mel likes to run and one of her heroes is Cathy Freeman. 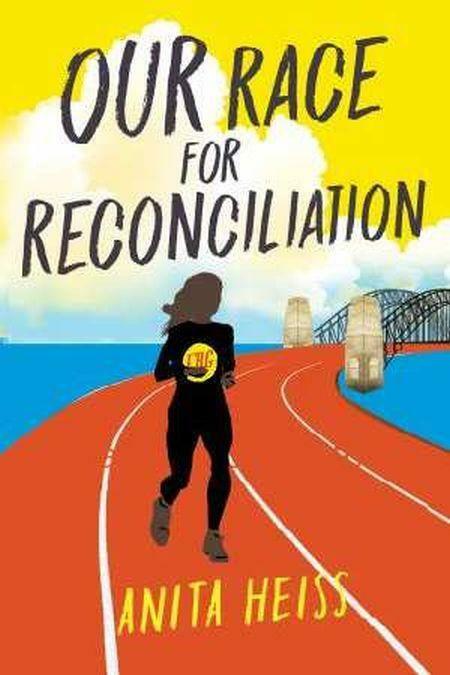 Mel goes on marches about Aboriginal issues. On a visit to Sydney she marches on Sorry Day which is really important to her and her family. Rated: 4.5/5 Reallys. "I enjoyed it." There are warning that Voldemort has returned and Harry and Dumbledore are in trouble. Sirius Black (Harry’s godfather) is killed by his own cousin, Bellatrix Lestrange. Voldemort also comes to kill Harry but he is saved by Dumbledore. Rated: 5/5 Reallys. "I like Harry Potter"
A miller has a daughter who is called to the palace by the king because the miller says his daughter can spin straw into gold. He was only joking but the joke didn’t work and the king believes him. The daughter is left with a spinning wheel and straw and told to turn it into gold. She is crying when an elf comes and spins it the straw into gold. He does this every night. The king marries her and makes her a queen. 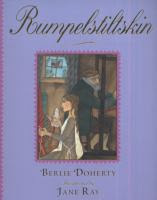 Rumpelstiltskin comes back and tells her that she has to give her firsborn child to him for spinning the gold. The elf tells her the only way to not give the child is if she can guess his name. She has to ask everybody in the kingdom to find out his name so she can keep her baby. Rated: 4/5 Reallys "I liked the story"
Dani is always happy until her best friend moves away and doesn’t come back. The other children pinch Dani. She tries to squirt a bottle of sauce into one of a child’s face but gets the teacher instead. She runs away and goes home but when her dad gets a phone call from the school she shows him the pinch marks on her skin. Her dad goes to the school and tells them that Dani was pinched by the other children. Rated: 5/5 Reallys "I enjoyed the book." The book is set in Italy during World War 2. Antonio is in trouble and running away form a Nazi officer he decides to jump over a cliff. Instead of landing in the sea he lands on a shelf and hides in a cave. There he finds an American who is also hiding and who is a spy. Antonio gets into all sorts of trouble trying to hide him. Antonio has to steal food and medicine but gets caught by a girl but they become friends. He also tries to steal money and a gangster knows he is stealing. Then his adopted mother dies. At the end of the book Chris the spy comes back after the war to see if Antonio is okay. Rated: 4.5/5 Reallys "This book is in my zone. It’s really thrilling and I like books about WW2 because there is a lot going on." Andy and Terry live in a treehouse. The top level of the treehouse has a ‘once-upon-a-time’ machine. It makes a book for them but it takes 8 hours. They decide to go swimming, driving and have a pillow fight. They jump on the trampoline and jump out of the treehouse. The time machine locks them out and they can’t get back in. They have to stay with their neighbour Jill who has lots of pets. They make a rocket and see the dark side of the moon. They also go to see Professor Stupido who can uninvent things. He uninvents the time machine but also ends up uninventing everything including the earth and the universe. Rated: 4/5 Reallys "It’s quite a good book and I’d like to live in a treehouse like that." This book is about August who has a face condition and doesn’t look like everyone else. He has been home schooled until Grade 5 and now is going to a proper school. The book is about what he thinks and what other people think of him. The chapters are from different points of view – it’s sort of saying ‘don’t judge a person by the way they look’. Rated: 4.73/5 Reallys "Some bits are a little confusing." Kirsty and Rachel get into lots of fun but the goblins are trying to ruin it. There are lots of flower fairies that help flowers when they are in trouble. There are lots different kinds of fairies. They are always around to solve a problem. Rated: 5/5 Reallys "I really liked it." This book is about a boy who has two warts. Everyone makes fun of him and laughs at him and even his brother calls him the Wartman. His teacher also had two warts but has got rid of them. Rated: 4/5 Reallys "It is an interesting story. My mum bought this book for me and it isn’t something I would usually read."